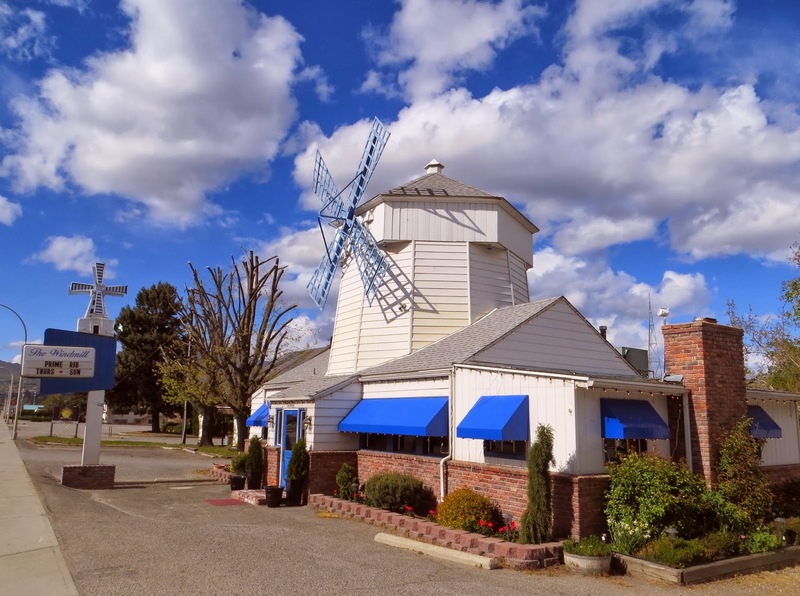 "In its early years, The Windmill was a typical “road house” of its time as it was on the northwest fringe of Wenatchee. It was said to have been frequented by counterfeiters and legend has it that the upstairs room was a meeting place for bootleggers. The Windmill had gained a “late night” reputation. 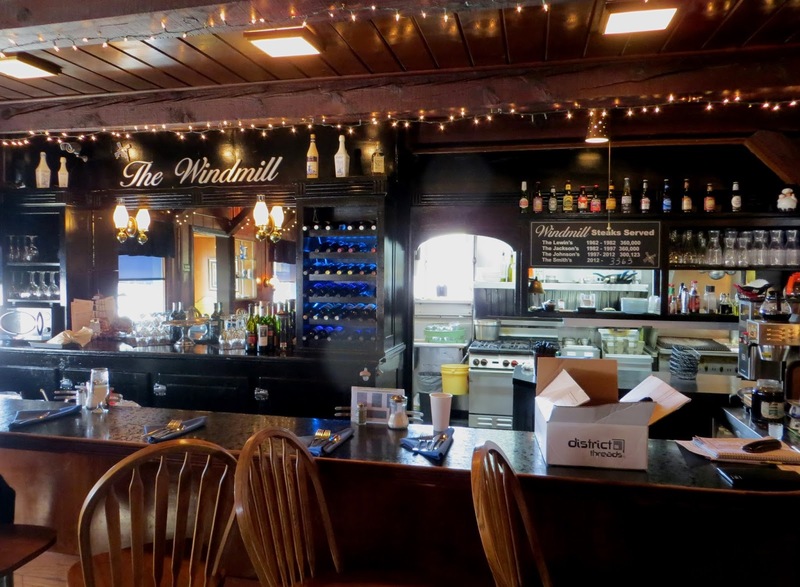 Following the repeal of prohibition, The Windmill was granted an unusual state liquor license allowing the sale of unopened containers “to go”. This was evidently due to the operators practice of putting a bottle of beer in sack lunches made for State Highway Department Road Crews. The Highway Department remains our neighbor today just to the north of our building." 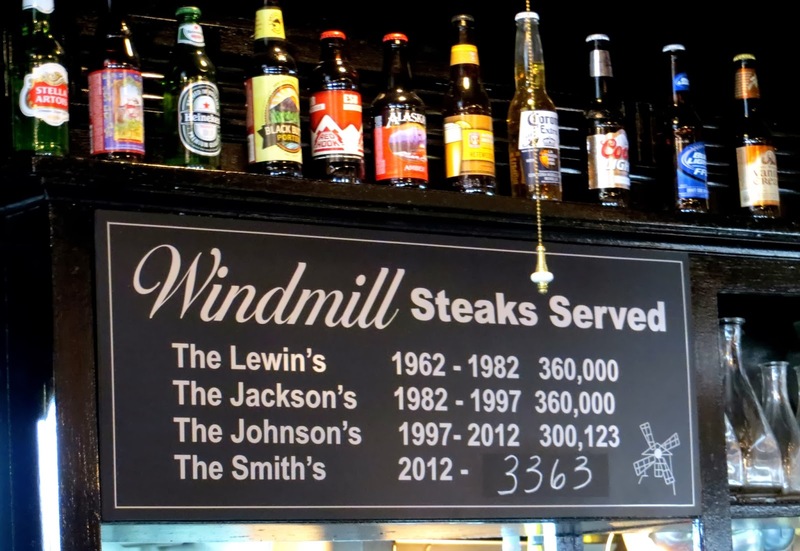 It was in the 1950s that the place was converted to a more upscale and family-friendly restaurant with an emphasis on steaks, and in 1962 they began counting them as they were served. The bar is nothing fancy but has some pleasant wine selections and cocktail staples. 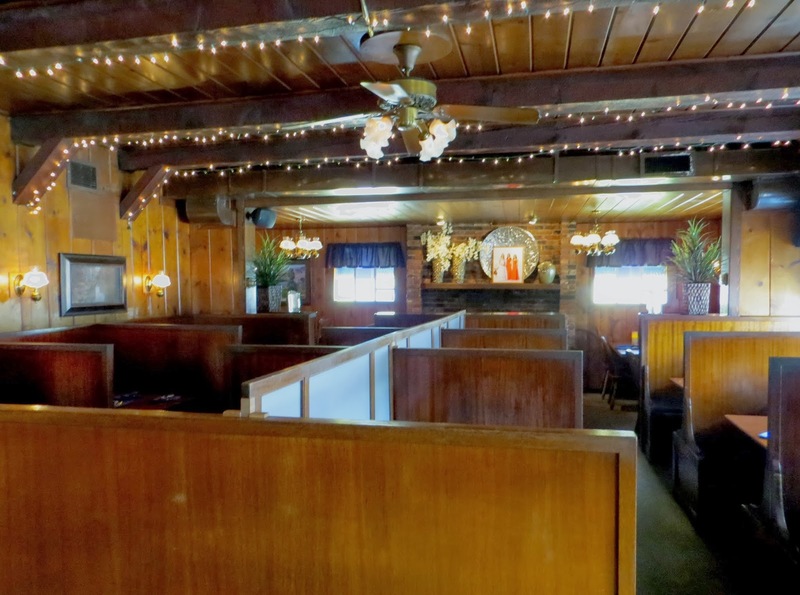 Seafood dishes and pastas offer alternatives to the steaks, in the cozy, knotty pine interior, which feels like a cafe along a mountain highway.